Especially these stars… The Dallas Cowboys. So this is how it ends for the Dallas Cowboys. The rising defense gets run out of town. 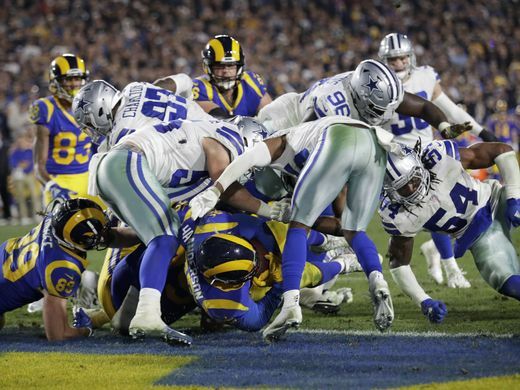 Ezekiel Elliott gets stuffed – even on a crucial fourth-and-one. The weirdest calls go the wrong way. Hope is put on the shelf until next season. The Cowboys, with some of the NFL’s best young talent & two division titles in three years, may believe they can envision a championship run from here. But until proven otherwise, what a mirage. “We can grow, & we have to learn from our experiences,” Cowboys coach Jason Garrett contended. Here’s a real-time reality check: The divisional round of the playoffs is Dallas’ glass ceiling. Climb on The Family Tree below & share your thoughts about My Nephews The Dallas Cowboys’ exiting situation.